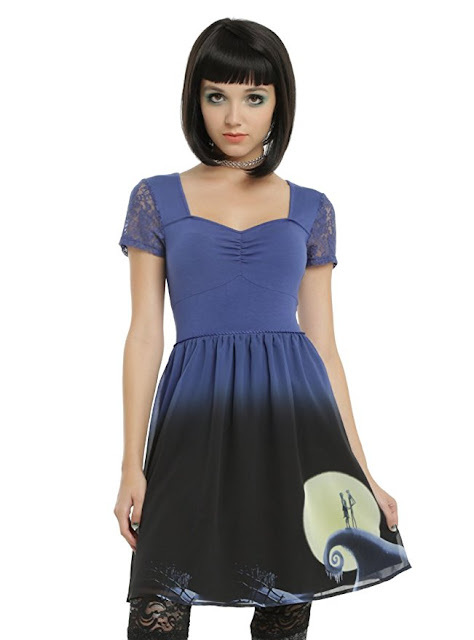 This striking Nightmare Before Christmas Jack Moon dress comes in junior sizes. (Ie, very small!) It's also really, really short, so I wouldn't want to see it on anybody under 18! I love that it features the iconic Spiral Hill. 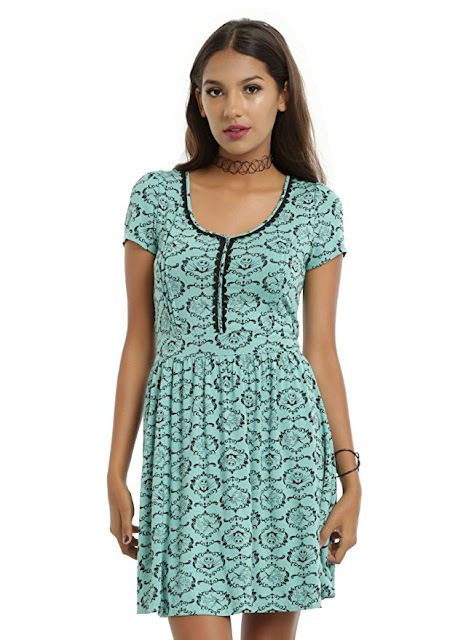 This Jack Embroidery Dress is another Hot Topic/Disney Nightmare Before Christmas licensed dress. Those of you living in warmer climes might wear this Snow Hill Nightmare Before Christmas dress to Christmas dinner, or a holiday party. 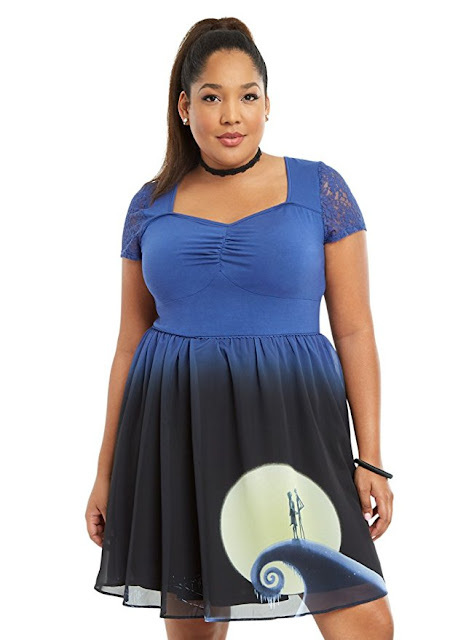 Here's Torrid's plus-size Snow Hill dress version, too. Mint green doesn't look great on everyone, but just in case you like it, here's the Jack and Zero filigree dress. Which of these is your favorite? Let me know in the comments below.